Similar to those that your local government might be using already for annual or bi-annual citizen sentiment surveys, this new content type opens up everything from big-picture community concerns to localized priorities, and will come packed with all the data already built in to Polco. 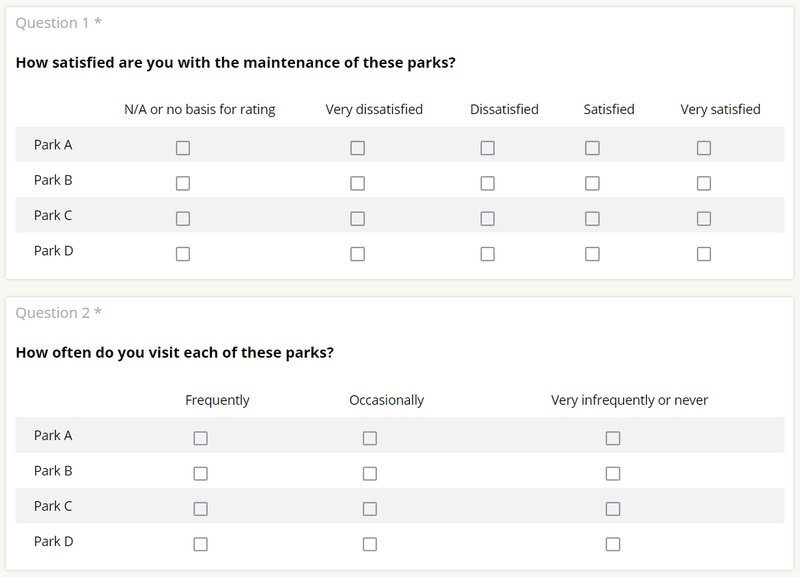 With surveys, you can ask multiple connected questions at once, including our new Matrix Multiple Choice questions (only available in surveys). You can make questions in the survey required to ensure that you get feedback on all questions from each participant. Questions can be made optional, too. Surveys have already gone live in a few of our early adopter cities, and we look foward to sharing those results as they're published. If you have any questions about how you can start using Polco Surveys as a part of your online civic engagement strategy, please don't hesitate to contact us and learn more!